Twas the week before Christmas, but things have been far from still at Bosleys, with four collections consigned for auction in a Christmas rush. Firstly a fine “Old School” collection of cloth formation badges, many of the examples have been tucked away in this collection for the past forty years and include: Extremely rare 9 Corps 2nd Pattern “Bugle" badge, Phantom Force Royal Armoured Corps combination, WW1 Tank Corps Attributed badges, 25th Armoured Engineer Brigade combination. 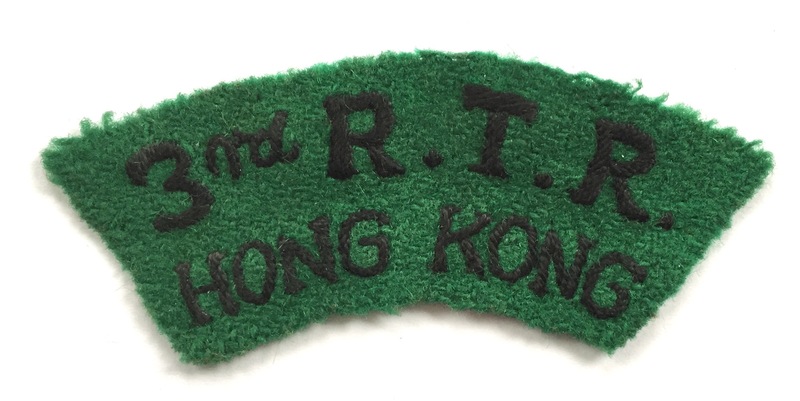 Post War Cloth Collectors will find a 3rd Royal Tank Regiment “Hong Kong” combination shoulder title only worn for three years 1949-1952, 1950’s 3rd Tank Regiment Jordon etc. Secondly a collection comprising antique firearms and weapons, a number destined for our fine Arms & Armour sale scheduled for April. These include a rare Napoleonic War Period sea service brass barrel pistol, pair of French brass barrel pistols, William Blanch cased revolver, cavalry precision holster pistol named to an Officer of the Second Dragoon Guards. Thirdly a collection of very fine badges and head-dress with a Bedfordshire & Hertfordshire Regiment theme with examples ranging from George III through to King George VI. Items include Shako and helmet plates, shoulder belt plates, cap and shoulder badges representing Regular, Militia, Volunteer and Territorial Battalions. Head-dress includes a very good and rare Hertfordshire Regiment Officer’s Blue cloth helmet in superb condition, this complimented by a fine Officer’s helmet of the Hertfordshire Regiment. Fourthly is a collection of WW2 militaria, including: 1942 Airborne Denison Jump Smock, 1943 leather harness Airborne helmet, rare “Para” jump leg bag, RAF TR1154, and T1155 aircraft radio equipment,second pattern FS Commando Fighting knife issued to Indian Army special forces to name a few items, these will be sold by our sister company Marlows in their February auction. 9th February Militaria Auction Marlows of Stafford. 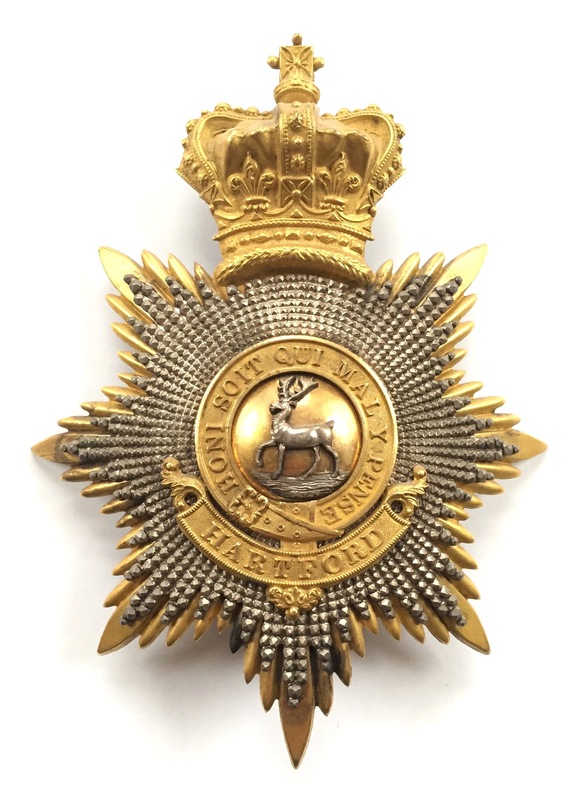 May Proposed Military Badge Auction Bosleys Marlow.